We give thanks to God for the life of Nelson Mandela, a gift to his own nation of South Africa but also a gift to the whole world, to the one humanity. There was no one like him. His moral authority, his hard-won wisdom and maturity in political leadership were unparalleled in our time. He showed that justice can be established with peace. For most, he will be recalled as the leader who acted to unify a nation once deliberately divided along the lines of race. He will be remembered as a liberator who by force of his remarkable personality raised the dignity of Africans after centuries of colonialism, oppression and discrimination. He will be remembered as an architect and builder of democracy and the rule of law, through truth and reconciliation. And, of course, we will recall him as the first president of a fully free and democratic South Africa. Nelson Mandela will be remembered as one of the most deserving laureates in the history of the Nobel Prize for Peace. It is an example of his strength of character and irenic personality that he willingly shared the award with F.W. de Klerk despite the decades he had spent in prison, despite the lives forfeited in civil strife, despite all the tensions in these co-recipients’ past. The values he exemplified were those of love, life, justice, peace and dignity. He firmly believed that humanity is one, and he rallied us together – people of all races, religions and walks of life – in the struggle to bring about a universal consciousness of our unity as human beings and our interdependence. The relationship of President Mandela to the World Council of Churches is particularly dear to us. Soon after his release from prison, he visited our Geneva offices in June 1990 to express his gratitude for the churches’ support of the anti-apartheid struggle. 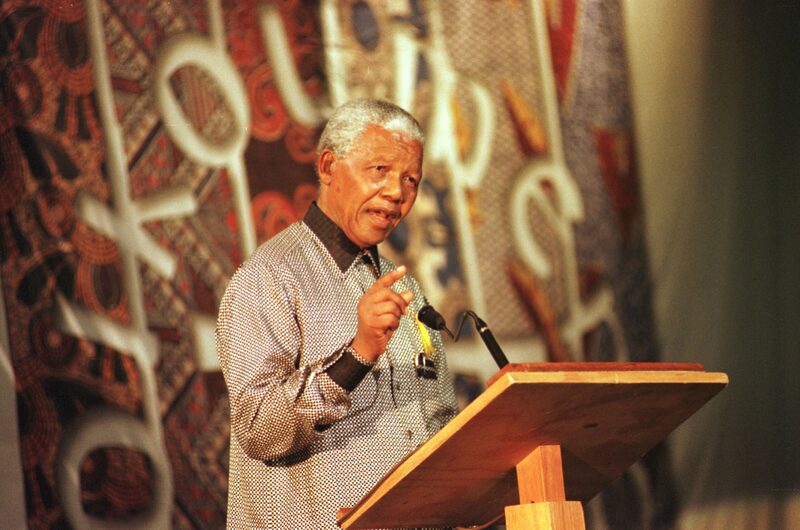 Later, as South Africa’s president in December 1998, he spoke at our Eighth Assembly in Harare, Zimbabwe. Again he expressed his gratitude to the churches of the World Council, as well as to earlier generations of Christian missionaries who brought high standards of education to Africa and provided his early schooling. “…you have to have been in an apartheid prison in South Africa to appreciate the further importance of the church. They tried to isolate us completely from the outside. Our relatives could see us only once every six months. The link was religious organizations, Christians, Muslims, Hindus and members of the Jewish faith. They were the faithful who inspired us. “The WCC’s support exemplified in the most concrete way the contribution that religion made to our liberation. From the days when religious bodies took responsibility for the education of the oppressed because it was denied by our rulers, to support for our liberation struggle, whenever the noble ideals and values of religion have been joined with practical action to realize them, it has strengthened us and at the same time nurtured those ideals within the liberation movement. “It is therefore a matter of pride to us that democratic South Africa has a constitution that embodies those values and ideals in whose name we enjoyed the support of the international community in our striving for freedom and justice. The values that Mandela lived were derived from the traditions of his people, consistent with the best teaching of his Christian educators and the ecumenical movement. They are values that inspired the long walk from apartheid to freedom and that transformed South Africa during his presidency. They are ideals that have much to contribute to the continuing life of his country and every country. I am convinced that it is entirely accurate to say of him that his name “will live beyond the grave and down the centuries.” Indeed, as is said in the Orthodox tradition of Christianity: May his memory be eternal! He has fought the good fight, he has finished the race, he has kept the faith. His example will continue to inspire us to do the same, for the sake of the one humanity.